You would want your horse to stand quietly and soften to you on both the left and right side before you attempt to mount her. 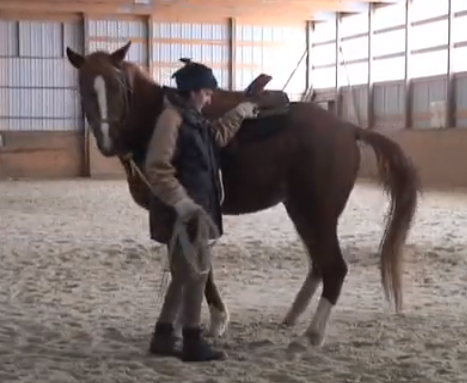 If your horse is braced her feet will move when you ask for the softening. This little mare’s first session started out with her moving when I asked her to bring her head around. Note I rewarded her when she stopped moving her feet. In the second session she understood what I was asking and therefore stood quietly and softened to me on both sides.